Discover the power of Java for developing applications with the engaging, hands-on approach in Farrell\’s JAVA PROGRAMMING, 8E. With this book, even first-time programmers can quickly develop useful programs while learning the basic principles of structured and object-oriented programming. 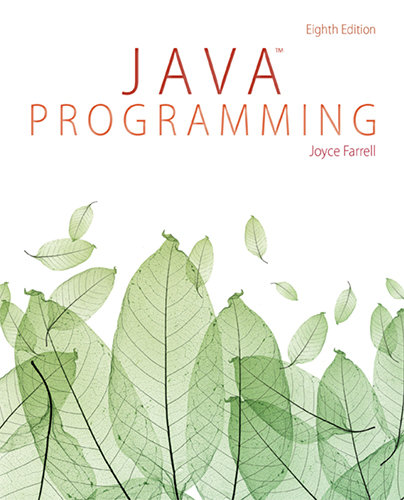 The text incorporates the latest version of Java with a reader-friendly presentation and meaningful real-world exercises that highlight new Java strengths. Updated Programming Exercises and a wealth of case problems help you build skills critical for ongoing programming success. You can find additional tools to strengthen your Java programming success with the optional CourseMate that includes a wealth of interactive teaching and learning tools and unique Video Quizzes created by the book\’s author.